In 1737, a “flock of philosophers” led by Maupertuis returned from the polar circle having verified Newton’s theories out of self-interest. As the apple had fallen on the thinker’s head, one had to prove that the earth was flattened. This was an adventure typical of a century of great travellers, which was also that of another adventure: that of the Encyclopaedia, that unprecedented attempt at making the entirety of human knowledge available to all. This was a century that thought differently about man’s place in the universe, the relationship between man and nature, and the very idea of nature itself. The centre of the world shifted and a new way of thinking, a new sensibility immerged. Voltaire, amongst others, sought to put man back in his place. With Micromégas he invented a philosophical fable, in the Swift or Cyrano de Bergerac genre, with which he could combat his adversaries, sparing only supporters of Locke. One might think that this story was thought up by Voltaire during a magic lantern show, which is an interesting notion especially as the progress of this “Little-Large” from the stars simply takes us to an all too human humanity. 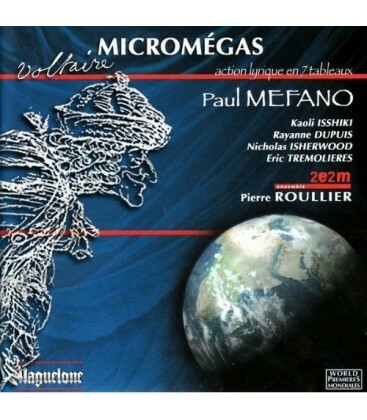 Paul Méfano takes the tale and sets it to music by following Voltaire’s text step by step. That being the case, one asks: “To what genre does this work belong?” I’d answer “to none” as he has invented one. 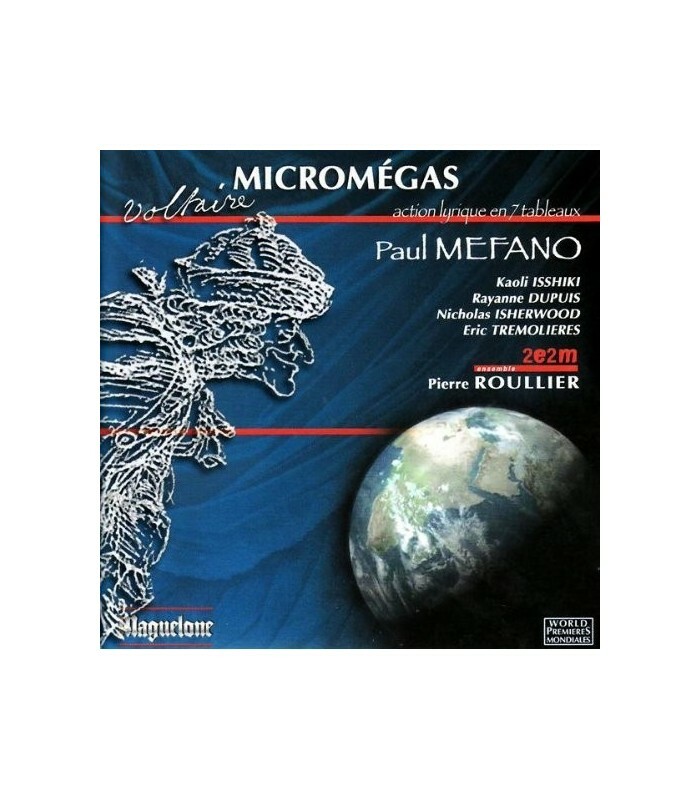 Micromégas by Paul Méfano is not an opera; He himself describes the work as an “Operatic Action”. I’d gladly call it a “Musical Narrative”. The manner in which Paul Méfano adapts the text, by imagining it as a libretto, comes more from the necessities of musical construction than an “operatic” treatment of the story, which he only allows himself to employ in assigning music to this text. Accordingly, each “character” is initially a vocal character, and the narrative’s progress belongs to all the performers – including the orchestra because some of the images are purely “sound” images. Thus, the "Bonimenteuse", mistress of the stage, takes turns with a narrator from the planet literature who simultaneously serves as inventor, commentator, witness, middleman between the stage and the pit, and knowing partner of the audience. However, they simply “stir” this narrative which - within the logic dictated by the score itself – they share with the other protagonists whose function and status constantly changes. So it is that the sextet of soloists are transformed from narrators, storytellers into translators of the “Saturnien’s” thoughts, and end up by taking over the thoughts and individual contradictory declarations of those microscopic beings, the “Animalcules”. The bass does not sing Micromégas, Micromégas sings the bass when the narrative becomes dialogue; the tenor who sings the Saturnien moves seamlessly through the narrative; the mezzo, Bonimenteuse’s “companion”, becomes the Saturnien’s wife and then also returns to the narrative. Here, there is no question of identifying a performer with a role, but rather of following the direction unavoidably imposed by the music as the orchestra and conductor are obviously the other partners in this exchange. Within the complex and dense progression of relay passages, the music – lovingly and vigorously – weaves the extract so as to intractably construct its unique “self”. Voltaire did not perceive “Infinite space” as silent. He has us “land” in a fierce world where he cries out: “I want to laugh”.